Every year I eat tonnes (ok maybe slight exaggeration) but a lot of pumpkins and squashes and I never do anything with the seeds. Honestly I normally can never be bothered to wash the seeds and do anything with them, but this year I decided that I would use them. Antony very kindly washed and got the remaining flesh off the seeds and then I decided a sweet and smokey topping would be great. 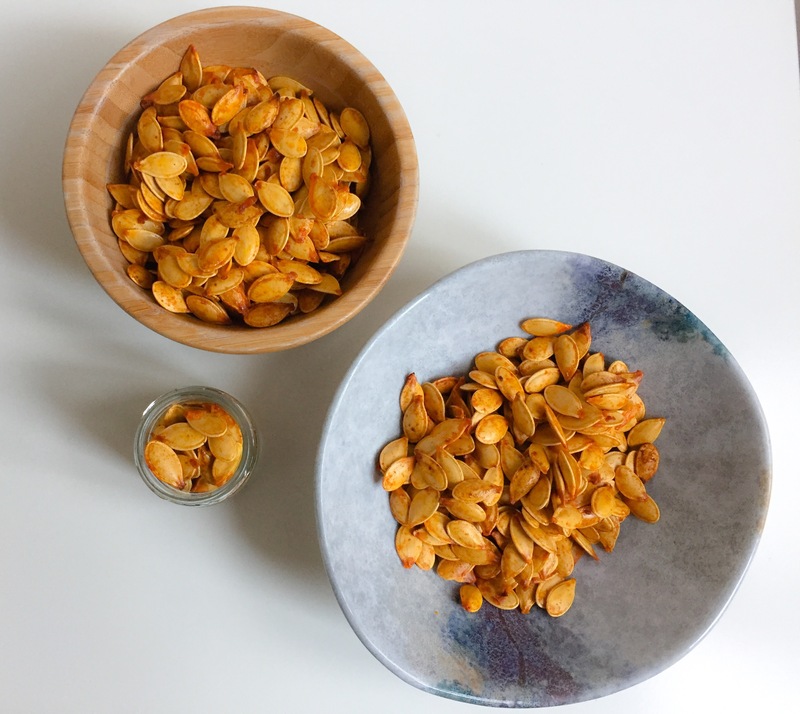 Sometimes making homemade pumpkin seeds can be a bit tough but I found using the olive oil and maple syrup helped to keep the outer shell slightly softer but still crunchy. The sweet, salty and smokey flavour works really well together. I get through a lot of smoked paprika, especially in the autumn. Mix all of the ingredients together, then place on a baking tray, spreading out so the seeds are evenly distributed. Roast in the oven at 200C for 20 minutes, stir the seeds every 5 minutes. Remove from the oven, leave to cool. This is so good and easy to maker. I always have one or two pumpkins outside for the kids. I love saving the pumpkin seeds to roast in the oven. It does not get any fresher than that! Thanks for your spicy version! Looks yummy! I wrote about pumpkin seeds on Facebook yesterday. 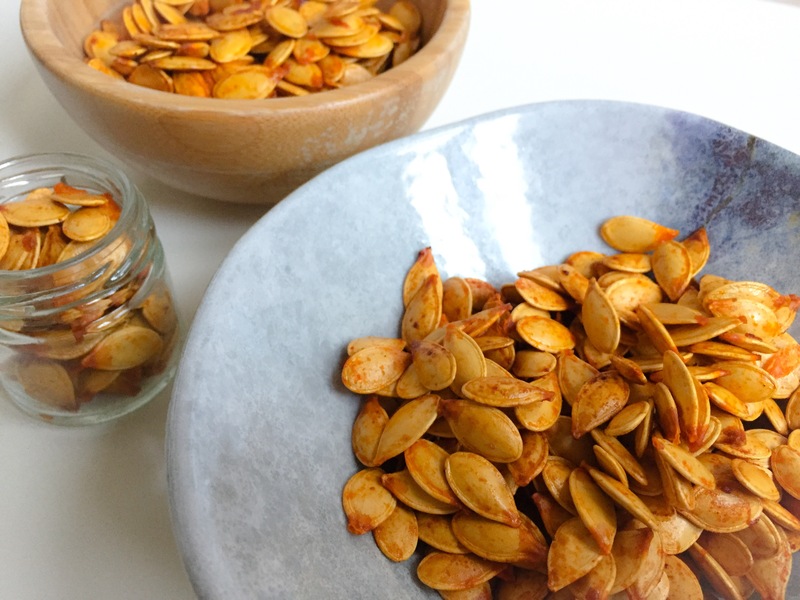 Pumpkin seeds are #1 in magnesium keeps the joints working well ..plus …plus. I thank you for your reminder. and pumpkin seeds are so tasty!! !